You sacrificed your Saturday afternoon, you faced the high-street crowds, but after unwrapping the present you so generously bought for them, they didn’t even say thank you. According to Catherine Roster of the University of New Mexico, when it comes to the future of your relationship with them, that’s the worst thing an unhappy gift recipient can do. Roster interviewed 186 people who were able to recall a recent occasion when they gave someone a present that they clearly didn’t like. 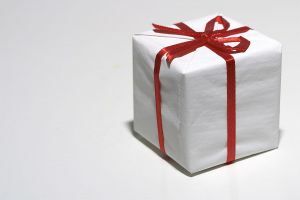 From frowns and false smiles, to never seeing the gift again, Roster identified several means by which participants recognised their gift had been unsuccessful. But of these indicators, a failure to say thank you was the only one that was reliably associated with how detrimental participants said the incident would be to the future of their relationship. Moreover, in an open-ended part of the interview, when participants were asked how the ungrateful friend or relative could have made things better, over half said expressing thanks would have done the trick, even if it clearly wasn’t genuine. “She could’ve done what the entire family does when opening gifts – acted disgustingly gracious and forget about it”, said one participant. Roster also found that more distant relationships – such as between work colleagues as opposed to relatives – and relationships that participants said were already of poorer quality, were the more likely to be harmed by the unsuccessful gift exchange. Roster, C.A. (2006). Moments of truth in gift exchanges: A critical analysis of communication indicators used to detect gift failure. Psychology and marketing, 23, 885-903.